A distance in time and space. I - A concept which is in all. 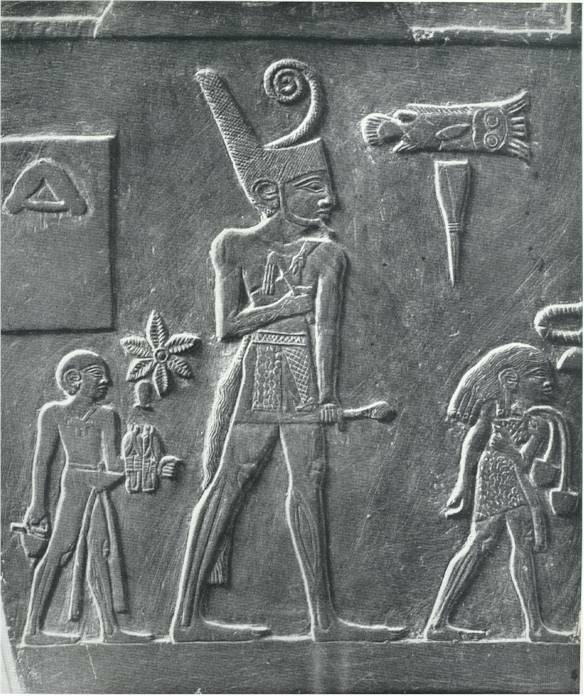 water which also symbolized YHVH. I - relating to the 1st eye. 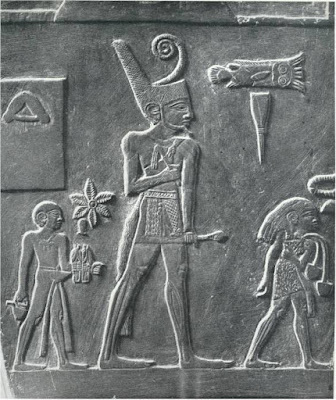 a votive (gift) offered up by King Narmer to the sun god Amun-Ra. 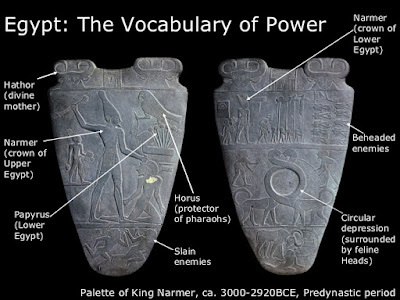 What makes this artefact so significant historically is that it not only bears some of the earliest-known examples of Egyptian hieroglyphics but also commemorates a major event in ancient Egyptian history - the unification of Lower Egypt and Upper Egypt into a single land, with King Narmer as the first ruler of both lands. Herer with sandals and pot. 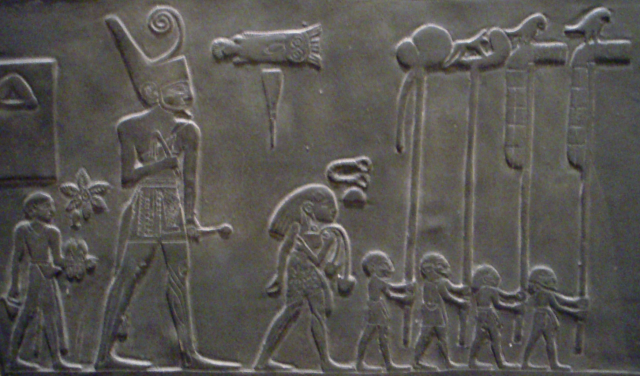 Above his head is the sign for the ancient town of Edfu. symbolize the makings of paper and pen. 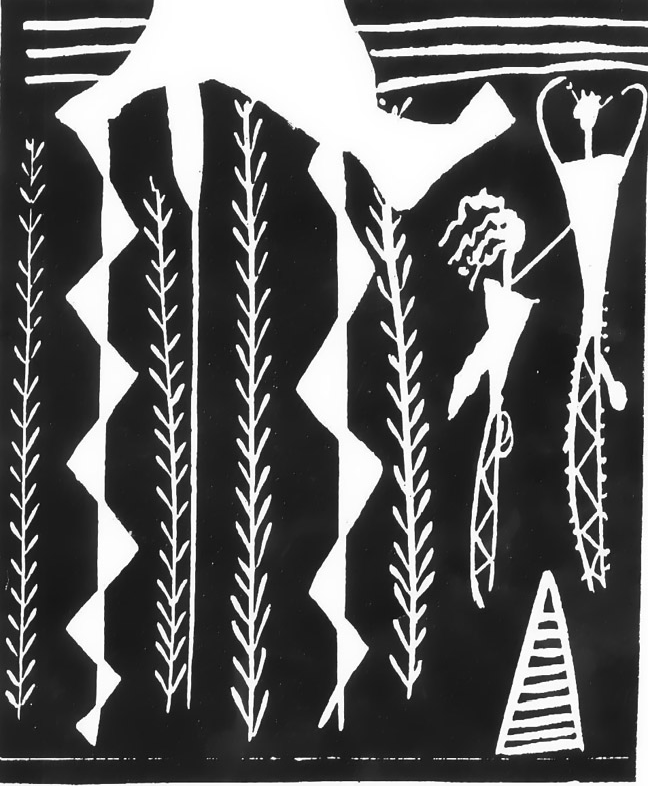 Papyrus is also a symbol of the delta. area fed by a manmade parallel canal. 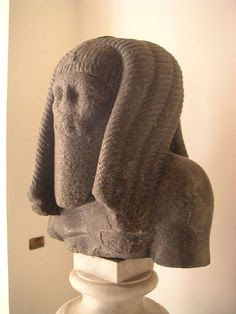 dreadlocked Rastafarian headed the Ancient Egyptian Mystery School of On (Annu). 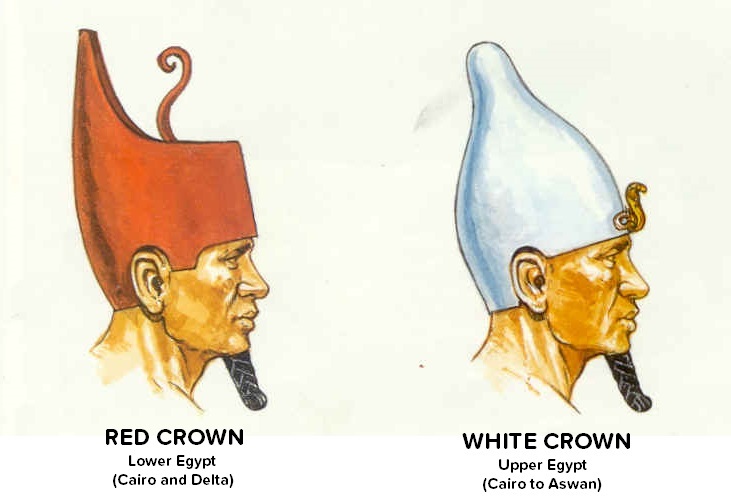 The Double Crown of Upper and Lower Egypt is also known as the Pschent crown. 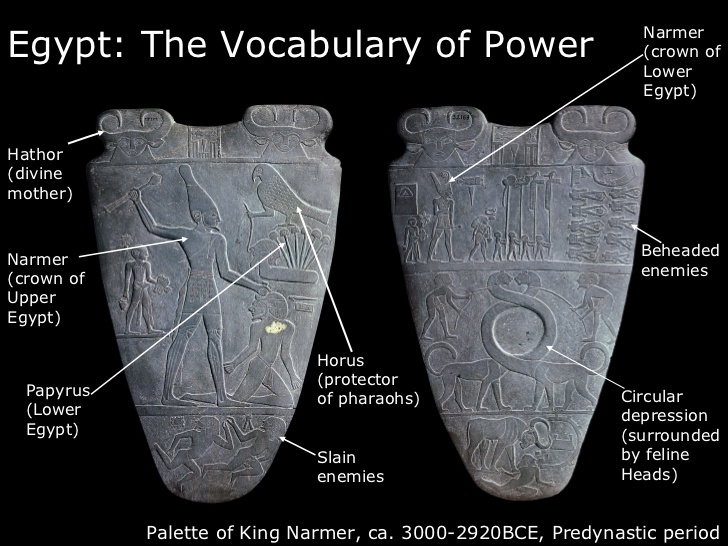 It was also known as 'sekhemti' which meant the 'Two Powerful Ones'. It was a combination of the Red Crown of Lower Egypt and the White Crown of Upper Egypt. Sometimes you may find two animal symbols attached to the front of this crown. These are a cobra representing the goddess Wadjet of Lower Egypt and a vulture representing the goddess Nekhbet of Upper Egypt. Together they were known as 'The Two Ladies'. 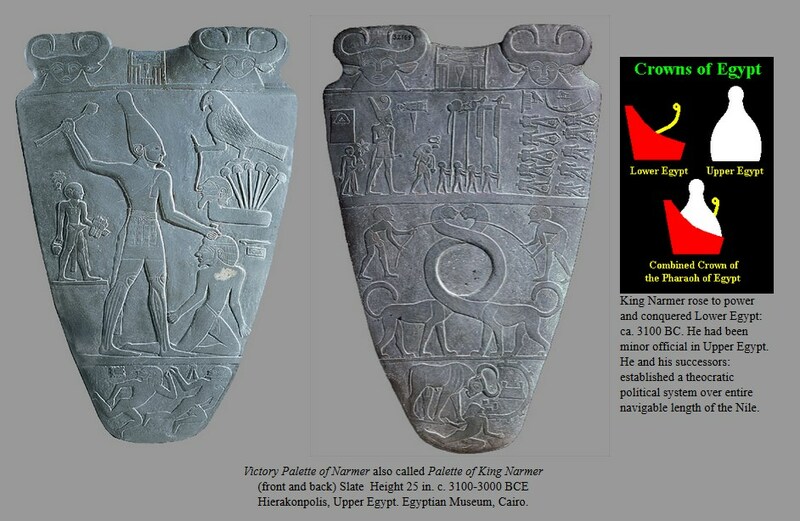 "The ancient Egyptians believed that the River Nile represented the backbone of the human body. 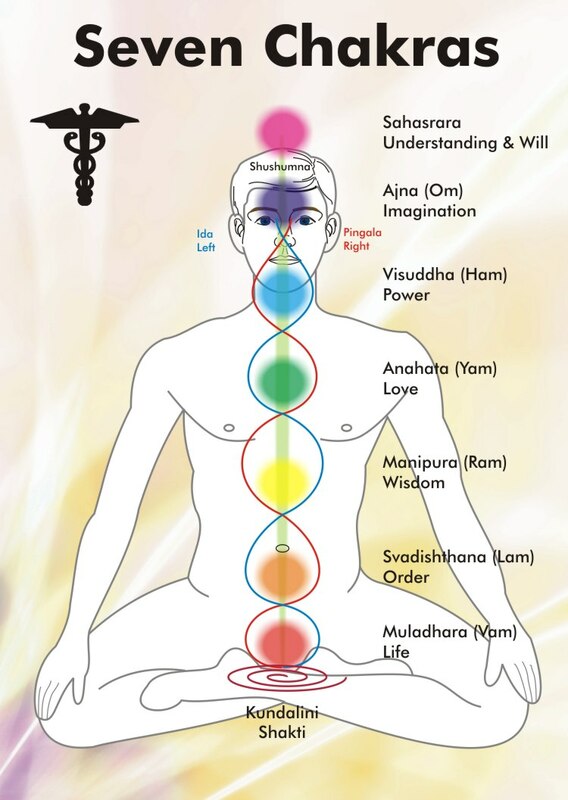 The temples were placed to correspond with the major chakras existing along this "backbone." To best explain this, we begin to the South. Aswan, a major city along the Nile, is considered the Root Chakra. 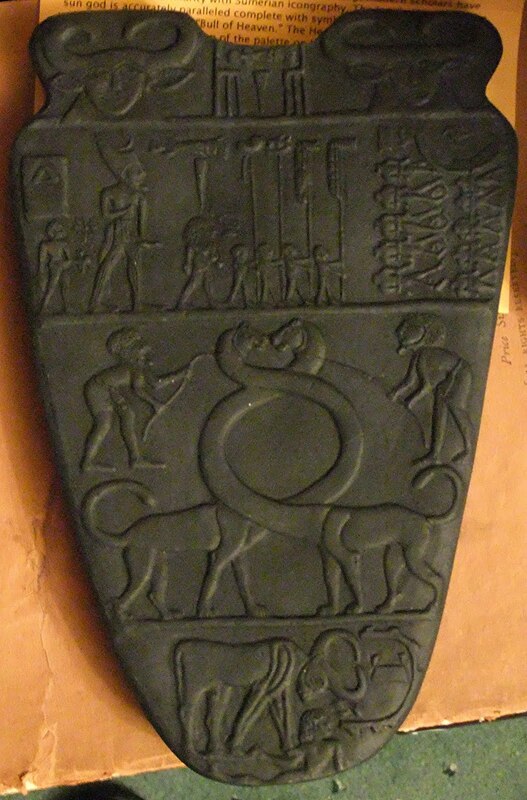 The main god of Aswan is Khnum, the ram-headed god — the god of creation who sits on the potter's wheel and forms and makes individuals out of clay. When visiting Aswan, many people experience what we might call "a new birth." 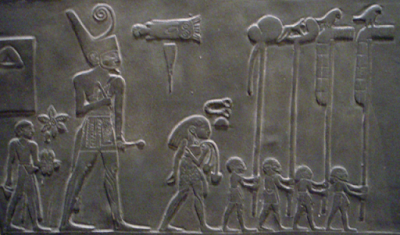 The ancient Egyptians believed that the River Nile represented the backbone of the human body. 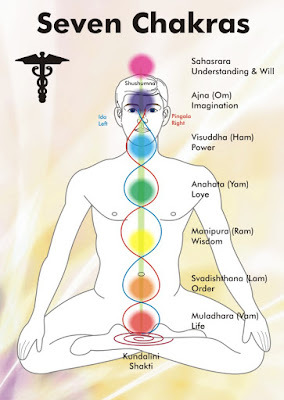 The temples were placed to correspond with the major chakras existing along this "backbone." To best explain this, we begin to the South. 1. 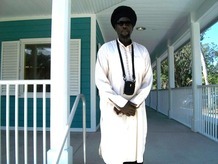 )Aswan, a major city along the Nile, is considered the Root Chakra. 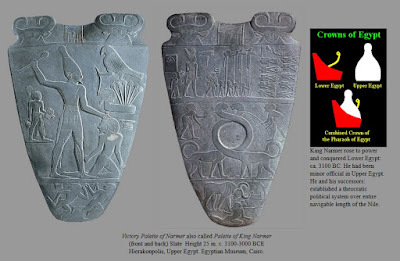 The main god of Aswan is Khnum, the ram-headed god — the god of creation who sits on the potter's wheel and forms and makes individuals out of clay (see bas relief at left — click on this image or any of the smaller images in this article to see a larger version). When visiting Aswan, many people experience what we might call "a new birth." 2. )the temple of Ko Mombo — at the Navel Chakra. 3. 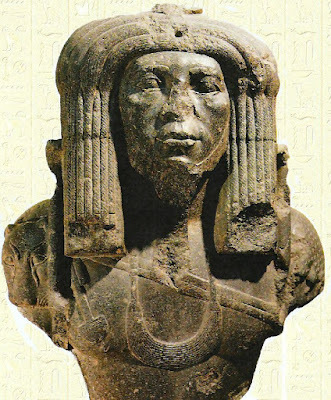 )After the naval we move on to Luxor — or Thebes, as it was called. This is the Solar Plexus Chakra. 4.) 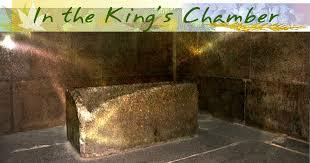 Next is the temple of Amon Tell El Amarna, and is the Heart Chakra. 5. )From Tell El Armarna, we go to Sakkara, which is at the Throat Chakra. Here, in the complex of King Zoser, you can stand on one side of the complex and whisper, and a person over 40 feet away will be able hear you as though you were standing quite near. 6. 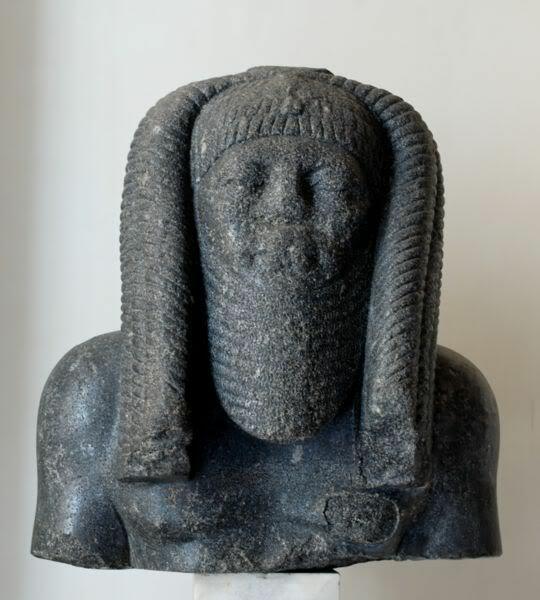 )Around the year 2900 BC, Imhotep was the high priest, an architect and a physician whom the people worshipped as the god himself. Even when the Greeks and Romans came to Egypt, more than 2000 years later, they still referred to Imhotep as the god of medicine. Imhotep built the Steppe Pyramid for his master, King Zoser. According to archeologists, the Steppe Pyramid was the first pyramid built in Egypt, and the first project made completely out of limestone.Pyramids at Giza If we move a little north, we arrive at Giza, or the Brow Chakra.The Giza pyramids are considered to be the center of the world, and the ancient Egyptians talked about a hidden record in the area of the Sphinx. Bannerizer makes it easy for you to promote ClickBank products by banners, simply visit Bannerizer, and grab the banner codes for your favorite ClickBank products or use the Universal ClickBank Banner Rotator Tool to promote all of the available ClickBank products.